Fresh green sweetness from the savannah. Notes of fresh fields with hints of wildflowers, ripe nectarine and heavenly pink freesia blended with delicate violets and wisps of mimosa. Finished with sweet groundings of white leather and blonde woods. 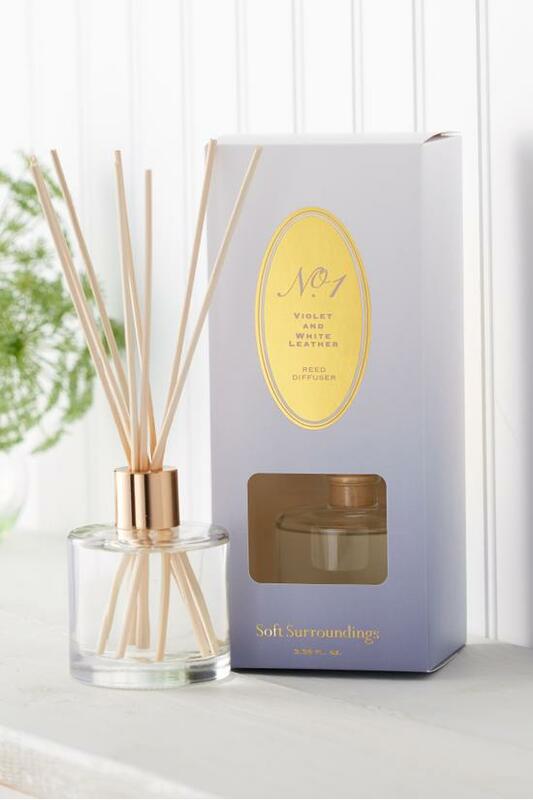 This lovely home fragrance takes your senses back to a simpler time, the sweet life, a place of origin. From our Numbers series, a collection of effortless, indigenous scents sourced from the four corners of the world, No. 1 springs from the African savannah, where the fragrance of wildflowers and grasses fills the air and the senses. Includes reeds and 3.38 fl. oz. bottle of fragrance. Includes reeds and 3.38 fl. oz. bottle of fragrance. Remove cap from top of bottle. place the collar on the top of the bottle. Place all reeds inside the bottle to absorb oil. Please allow 24-36 hours for fragrance to diffuse. To refresh, rotate reeds as needed.